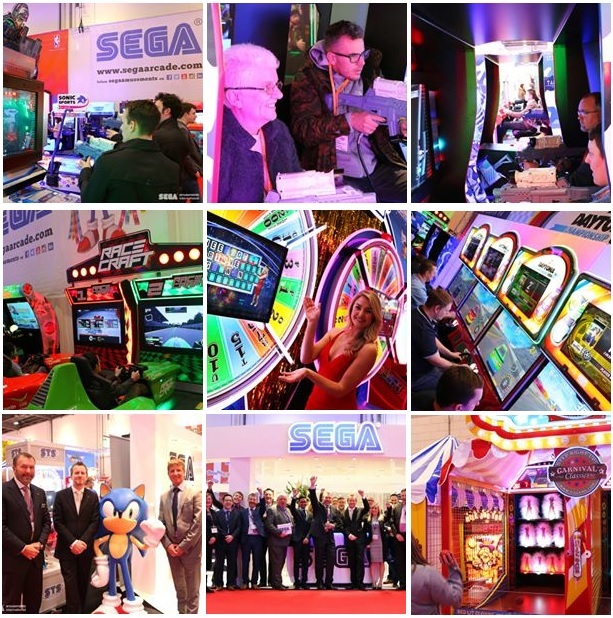 Leading manufacturer of amusements games Sega Amusements International looks forward to exhibiting its latest, high earning products at EAG, from 16th to 18th January, at ExCel Exhibition Centre, London on stand 534. After having had a superb IAAPA show, the company confident 2018 will be a fantastic year. Its product line-up is strong, and the company can’t wait to show its products to UK and international Customers at EAG. 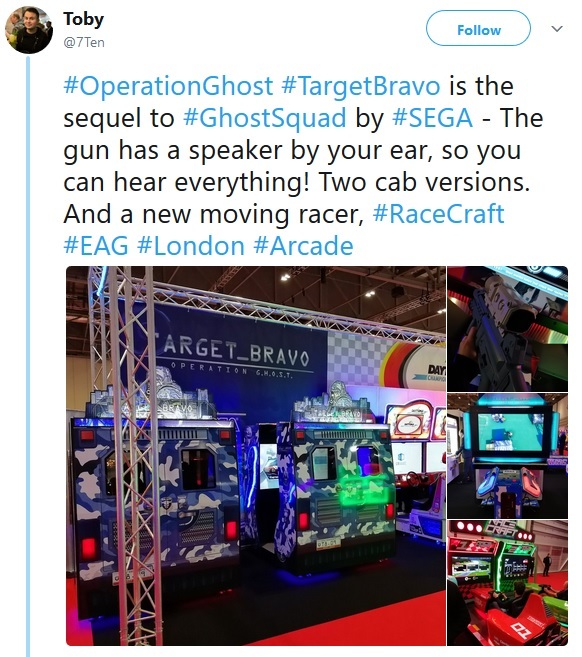 Sega’s innovative games will be accompanied by the Parts & Customer Service division Sega Total Solutions (STS) while highly desirable licensed plush & prizes supplier Sega Prize International (SPI) will exhibit their latest products. Race Craft is developed by Vae Victis and Sany, produced by Octavian and distributed by Tecnoplay btw. Sega: "2018 a wonderful year for Amusement with a good start in EAG"
Basketball games are making a big comeback in 2018, and Sega has just the line-up for operator’s large and small. Officially licenced NBA basketball games NBA Hoops, NBA Game Time and NBA Hoop Troops are all part of the brand-new Sports Wall. 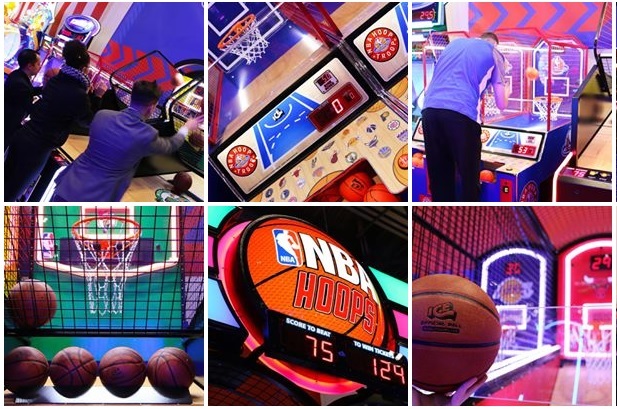 The bigger NBA Hoops will make players will feel like a pro, while mid-sized NBA Game Time is ideal for most locations, and NBA Hoop Troops designed just for kids.